Title Tag is actually one of the most important SEO factors. Use your most important keywords I keep it accurate and concise in regards to your page content title should be descriptive and readable Try do 50 to 70 characters as it will get cut off on smaller screens and you don’t want that and the readability sake again most important words should be first within the title at unique wording for each page,make sure that it’s focused on the content of the website. 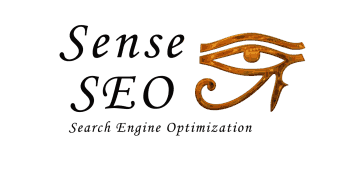 While this tag is not visible on your HTML page, it appears in the first line of the organic search listing. Populate your tags with a keyword or keywords that accurately summarize the content on the accompanying page. The keywords should appear to the left of the title tag. If at all possible with the company name to the right if there is room. Keep the title tags to 55 characters or less. there is a limited amount of space on the search engine results page to display your title tag. keep your html title tags to about 55 characters. We have been seeing good results on pages with title tags shorter than 30. Think of the title tags as an advertising headline.Remember you’re writing the title tag not just for the search engine, but for the human viewer as well. You want a title tag with stopping power — Make every title tag unique. Too often websites show the same html title tag for more than one page. Before you write any actual content for the page, write the title tag and the meta description. It’s fine to use the same primary keyword in both. The title tag as the stopper and the meta description is the teaser that is going to get the reader to click through to your content. Create content for your page that is well-written, high quality. You have to create unique content and execute well to get good organic rank, and, most importantly, click-throughs to your content. When the page content is finalized, revisit your title tag and meta description. To ensure that there is still a match between the two and the content on your page. If the html title tag and meta description don’t accurately describe the content on the page. The chances of ranking are slim to none. If there isn’t a match with your finished content, re-write both tags. When the page is published, check the SERP to make sure that your organic listing is displaying properly. Amazingly, many publishers forget this step. If your organic listing is not being displayed as you want, change your tags immediately. And check the Recommendation Summary Report every week for anything you missed! After a few weeks have passed, check your page’s traffic with BrightEdge Page Reporting and click through rate on Google Search Console. If you’re not happy with the result, adjust the title tag and meta description. It will just take a few minutes of your time to research, write and publish.